Primavera Residences Condo units for sale. Condo units available in Primavera Residences, a twin-tower residential condominium. It is right beside SM City CDO in Pueblo de Oro Business Park, Cagayan de Oro City, Philippines. LOCATION : Corner Trade Street and Gran Via Streets along Masterson Avenue, Pueblo de Oro Business Park, Cagayan de Oro City, Philippines. Condo Units that are considered landmark of world-class Italian architecture. 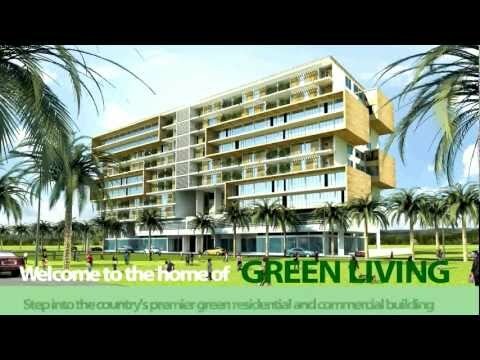 Primavera Residences - It is the first eco-friendly 10-storey two-tower residential and commercial building in Cagayan de Oro City. It is located in the Misamis Oriental province of Mindanao, the Philippine's second largest island. The buildings were the first in Cagayan de Oro constructed following the principles of green architecture. Both buildings include an inner green courtyard and terrace for natural ventilation and lighting. Both has solar panels for additional energy production and brise-soleil, a sun-shading technique, for solar heat reduction. DEVELOPER : ItalPinas Euroasian Design and Eco-Development Corp. This advertisement is approved and authorized by the Housing and Land Use Regulatory Board HLURB) with approval number AA- ___________.